Teleporter hire Dublin – A teleporter is a fantastic piece that you can use to handle lots of jobs, particularly around construction sites, nurseries, farms, etc. In simple terms, it consists of a crane and a forklift, which makes it more multipurpose than the forklift machine with regards to the lifting and transporting of heavy materials to a higher elevation. As effective as this equipment is, it can be very expensive to own. If you fail to use your teleporter regularly or you don’t have enough capital to invest in owning a teleporter outright and you also cannot afford the maintenance cost, the most convenient and cost effective strategy is to opt for teleporter hire in Dublin. A teleporter hire allows you to pay a company like Boom & Platform Hire to use their equipment for a particular time period you would need it. This saves you time, money and space. Before you can complete a teleporter hire transaction with Boom & Platform, you will need to open an account with Fiona in the office and submit information such as Trade References, Authorization Details, Company Information, etc. All operatives of Teleporters should be trained, qualified and have the necessary safe pass clearance to drive such machines. If your company requires onsite training, at Boom & Platform Hire we offer a wide range of training courses, see this link. Whether it be in high-rise construction works, cleaning, farming, aviation, or any other industry, Boom & Platform Hire offers the most cost-effective Teleporter hire in Dublin. Our fleet of Teleporters for hire in Dublin has been built up over a period of 20 years, continually refreshed, maintained and only sourcing the most trusted teleporter brands on the market ensuring reliability, modern functionality, and durability, and can meet any demand. With same day delivery anywhere in Dublin, competitive rental rates, a full team of engineers at the ready and a support staff in house on standby in case of any eventuality. At Boom & Platform Hire we have extremely high professional standards, standards and values which have helped us build and grow year on year, our height for hire service is second-to-none. Our machines are fully insured with perfect safety records, all our teleporters are regularly inspected and serviced by our experienced mechanics. And upon request, one of our qualified and experienced teleporter drivers will be provided if required. 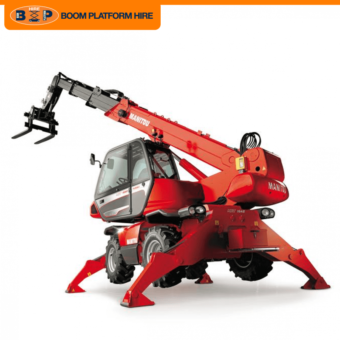 With Boom & Platform Hire, rest assured that your teleporter hire in Dublin is in safe hands. To view our complete stock of Teleporter hire in Dublin, do not hesitate to contact us. So, if you need a reliable Teleporter for Hire in Dublin or any piece of boom and platform hire equipment in our catalog, don’t hesitate to contact us and let us know how we can be of service. Email or call the team nationwide, in Dublin or Cork on: 045 900 932 or 021 463 5600.